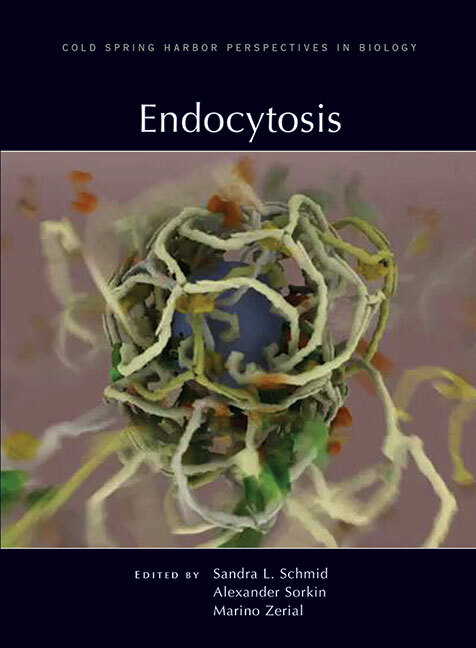 During endocytosis, extracellular molecules and plasma membrane components are selectively internalized by cells. This fundamental process of cellular ingestion is required for diverse activities such as nutrient uptake, cell adhesion and migration, signal transduction, cytokinesis, neurotransmission, and antigen presentation. Pathogens (e.g., HIV) exploit endocytic pathways to gain entry into cells, and defects in the endocytic machinery can lead to diseases such as cancer. Written and edited by experts in the field, this collection from Cold Spring Harbor Perspectives in Biology covers all of the major pathways of endocytosis and postendocytic trafficking and how they regulate cellular and organismal physiology. Contributors describe how cargo enters the cell via clathrin-mediated and clathrin-independent pathways, including caveolar endocytosis, micropinocytosis, cholesterol-sensitive endocytosis, phagocytosis, and the CLIC/GEEC pathway. They review the numerous machineries (e.g., Rab GTPases, tethering factors, and retromer) that transport cargo through endosomes and deliver it to lysosomes or recycle it back to the cell surface, and the signals and mechanisms governing these sorting decisions. Topics such as lysosomal dynamics, the biophysical challenges of bending membranes, and the evolution of endocytic systems are also covered. This volume also includes substantial discussion of the roles of endocytic trafficking in organismal development, physiology, and disease. It is thus an indispensable reference for cell biologists, but also for neuroscientists, immunologists, developmental biologists, microbiologists, and others concerned with the physiological and therapeutic implications of this key cellular process. Endocytosis and Autophagy: Exploitation or Cooperation?